The mini skirt became a mass clothing piece in the 1960s thanks to London-born fashion designer Mary Quant and represented an authentic sign of emancipation for women, turning into a symbol of limitless freedom even in Haute Couture. 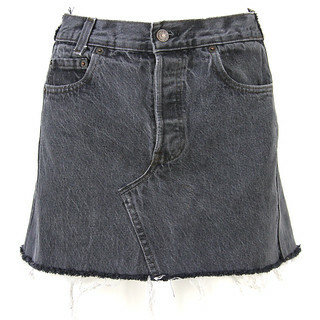 Mini skirts are closely related to jeans, which in the same period happened to turn from a working uniform of lower social classes to a universally cool fashion piece. Also designers "un-democratise" jeans by adding their label with embroideries, studs and sequins. In the 1970s - and, more precisely, with the beat generation and the hippy movement - skirts are made of jeans fabric and designed to be "shorter", fitting perfectly to the shape of the woman. The fashion revival of the Seventies we are living right now has us dreaming of having a mini skirt in our closet - designed by Levi's of course. Don't worry, here at A.N.G.E.L.O. 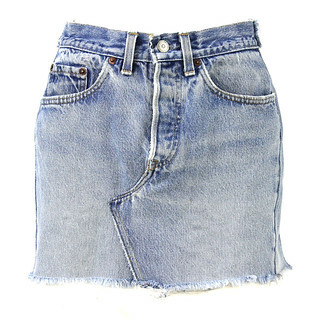 Vintage Palace we are well prepared: Levi's Recycled skirts just arrived in our store and in our online shop. Enjoy your shopping!